Health warnings have been issued by the public health bodies in England and Wales as a mini heatwave hits both countries. Public Health England and Public Health Wales are urging the public to stay safe in the heat, drink plenty of water and look out for older people, young children and babies as temperatures are set to top 30 degrees over the next two days. 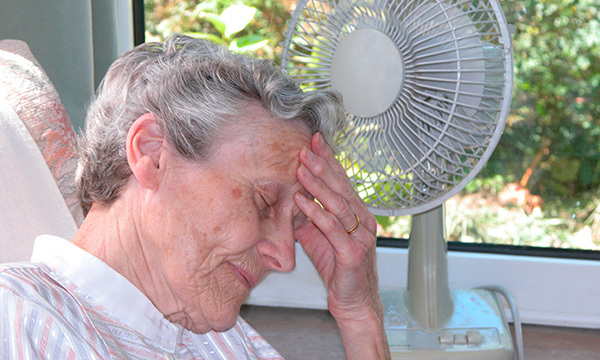 The advice follows Public Health England's (PHE) heatwave plan, which was published in May to provide nurses and other health and social care professionals with advice on protecting vulnerable patients in hotter temperatures. Advice for community nurses when making home visits included checking that patients have working fridges and fans, wear light cotton clothes and know how to seek medical help if necessary. School nurses should ensure children are well hydrated and wear sunscreen and hats outside, while staff in care homes should look out for signs of heat-related illness. Highs of 34 degrees are predicted by the Met Office for Tuesday, with very warm and humid weather expected to last into Wednesday before fresher conditions arrive. Other advice provided to the public includes closing curtains on rooms that face the sun to keep indoor spaces cooler and avoiding physical exertion in the hottest parts of the day.